Ten-year-old Brendan Buckley is a TAE KWON DO blue belt and a budding rock hound. He keeps a "Confidential" notebook for his top-secret scientific discoveries. 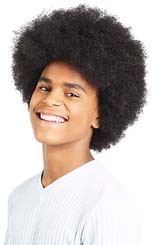 He is comfortable in his mixed-race skin. He has a good pal, and he knows what he wants to do. He can ignore the racist taunts of a few older kids. He can ignore it, that is, until he meets his long absent grandfather who runs the local rock hound club. The grandpa he's never met before, who his mom refuses to talk about or see, is an expert mineral collector and lives nearby! Secretly, Brendan visits Ed DeBose, whose skin is pink, not brown like Brendan's, his dad's, or that of Grampa Clem's, who recently died. Now Brendan has to find out why his grandfather lives so close, and yet has never been to his house. 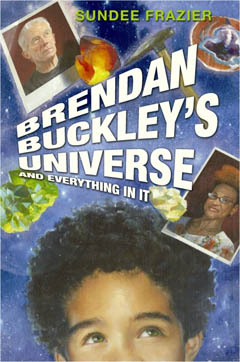 Brendan Buckley's Universe And Everything In It, is a book about some of the obstacles mixed-race families face and the children caught in between. Adults and children will identify with the problems Brendan comes up against and will be inspired and moved by this ten-year-old's journey to discovery and forgiveness set against a background of family issues, prejudice and the often difficult process of growing up.